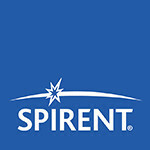 Spirent Communications, 2708 Orchard Pkwy #20, San Jose, CA 95134. Stuart holds a degree in RF and Communications Engineering and has been working with GNSS for 17 years. He is a member of the Technical Committee of the Royal Institute of Navigation, and at Spirent he drives the development of GNSS simulation capabilities and methodologies globally. Ajay Vemuru has over 7 years of experience as navigation engineer and has worked on various aspects of GNSS receivers, from research and development to integration and testing. Ajay got his Master’s degree in Electrical Engineering and Computer Science from Ohio University. Adam holds a Degree in Electronics and Communication Engineering and has postgraduate qualifications with Stanford University and the Chartered Institute of Marketing. He has worked in Communication Test, Optical Network and Wireless Technology Markets and currently leads Marketing for the Commercial and Robust PNT segments.